What is Cloud Computing? Is Cloud Services same as Cloud Computing? Cloud Computing is “Internet-based Computing”. Broader Definition: Cloud Computing is the use of resources such as server data and applications (think enterprise payroll systems, MS Outlook) from a location not limited to a specific geography. In other words, “the cloud” is basically a black-hole to the user and his/her data becomes magically available anytime anywhere on any device. Then clearly, Cloud Services is Cloud Computing. Cloud services are applications that make data (in the blackhole called cloud) available to users. So, “Cloud Computing” + “Cloud Services” = “Data anywhere anytime on any device”. 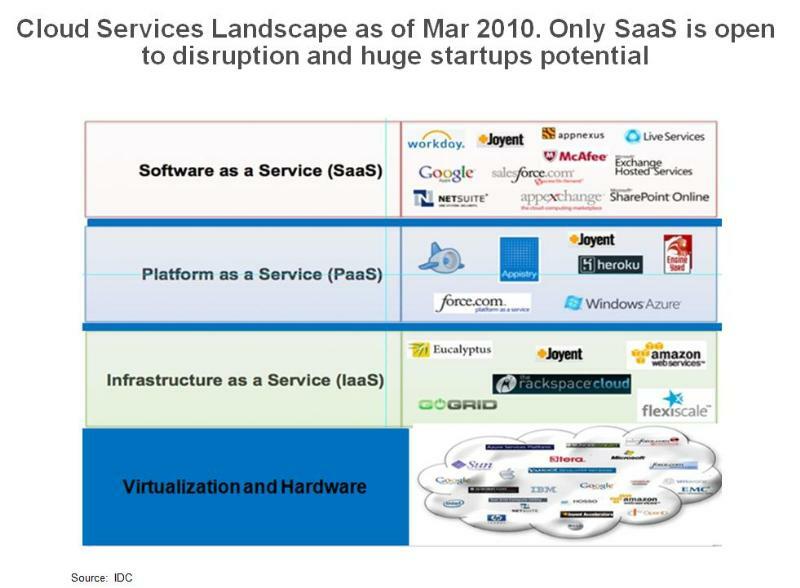 Why should the difference between Cloud Computing vs Services matter? Because each is a different market and addresses different needs. For example, Cloud Computing market is typically the IT infrastructure offered by companies using datacenters, servers, hardware and virtualization. Cloud Services could be a simple “Photos in the Cloud” service such as Picasa and Flickr or a simple “Music in the Cloud” service such as Thumbplay and Catchmedia or “Apps in the Cloud” service such as Google Docs. As is obvious, cloud services build off of cloud computing’s hardware etc to offer tangible benefits to customers by offering novel ways to access and consume data/applications. 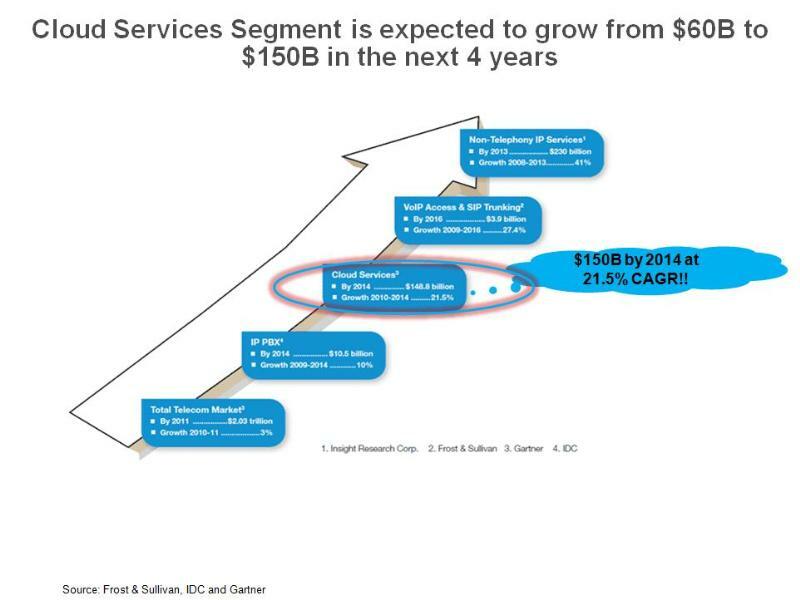 Cloud Services is projected to be a $150B market by 2014 with 21.5% CAGR while Cloud Computing is to be a $14B market by 2014. From a business perspective, Cloud Computing would need more capital outlays and capex. This obviously is a huge barrier to entry for startups and so, scale is king here. Which is why traditional big companies such as Amazon, Google, Microsoft are in the best position to offer Cloud Computing. Obviously, a combination of cloud computing and services will be offered. But, Cloud Computing as a separate market is off the table or a very difficult market for startups. Cloud Services, on the other hand, is a ripe ground for innovation or disruption and the best ideas with good execution will be successful. All you need is an idea and some cash to pay for storage or user subscriptions to start a new cloud service to become popular and gain traction in the market.